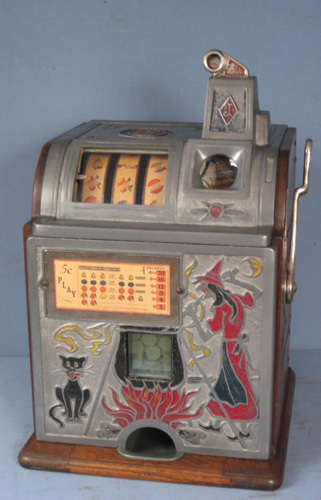 Buyer beware of seller on eBay stating a machine is a RARE 1920'S MUTOSCOPE GRANDMA PREDICTIONS "WAX" FORTUNE TELLER when it is a reproduction. He is aware its a reproduction because of his previous listing. His previous listing states....." A beautifully remade version of the 1930s International Mutoscope Fortune Teller. THIS IS A COPY OF THE 1920'S MUTOSCOPE GRANDMA PREDICTIONS. ONLY 10 OF THESE WERE MADE."